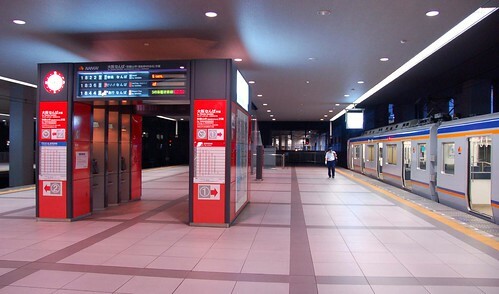 The Nankai Line boasts a good connection between Kansai Airport and Osaka Namba, in the middle of the city. 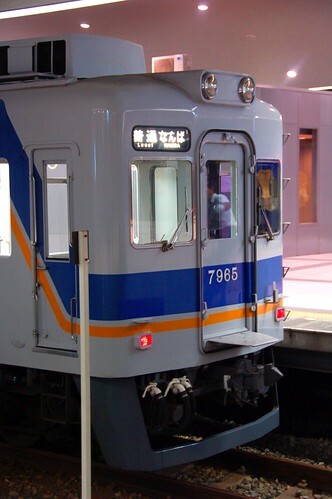 The limited express 'rapi:t' (meaning fast in German) and the express run every 30 minutes between both terminuses in the daytime. Follow the signpost to the station. 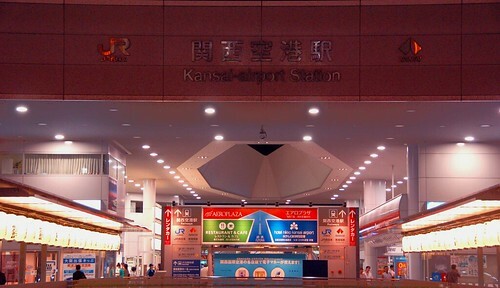 Kansai Airport Station, shared with JR. 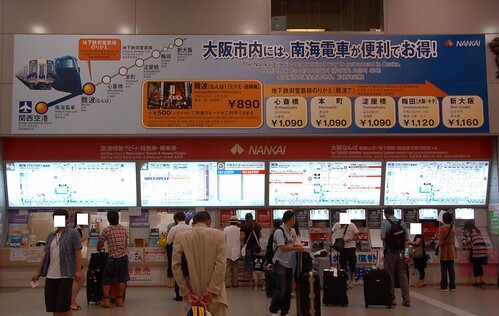 Ticket machines: You can purchase the limited express reservation ticket via ticket machine. 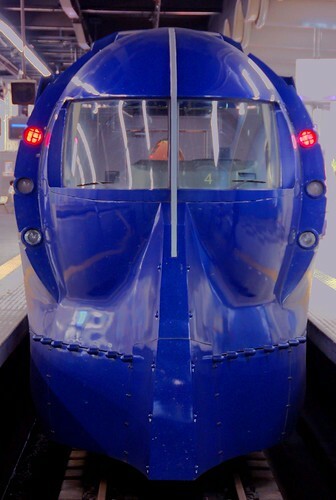 Limited express standing at Namba Station. another great blog. I read all your blogs with interest. It's a great public service, keep up the good work. 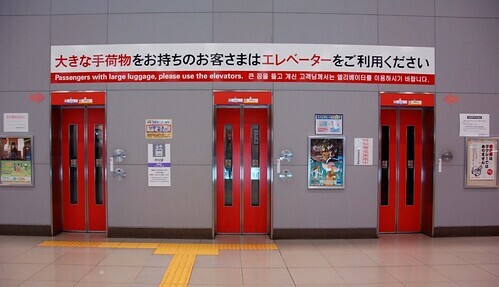 until what time does the bus operates from osaka airport to nagoya station? 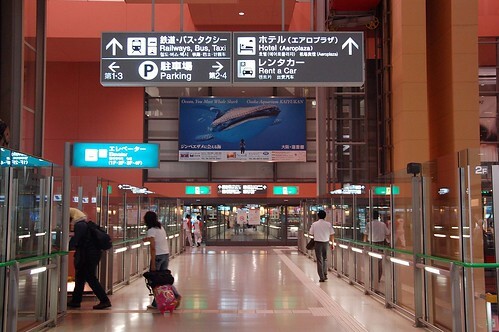 No bus runs between Osaka Kansai Airport and Nagoya Station. 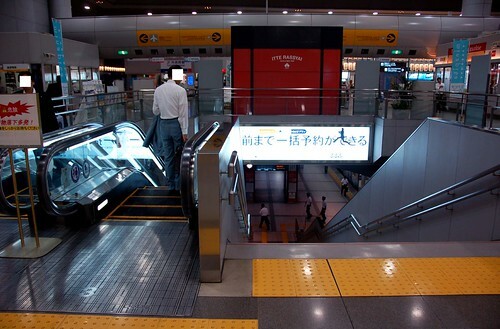 Alternatively you first take the Nankai Line train to Namba, then transfer to Kintetsu Limited Express to Nagoya. 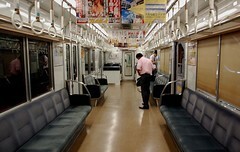 The last train from Namba to Nagoya leaves at 21:30 hrs. 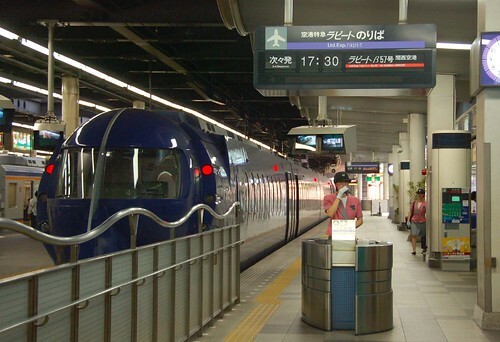 You might purchase the Kintetsu Railpass for 3,500 yen. 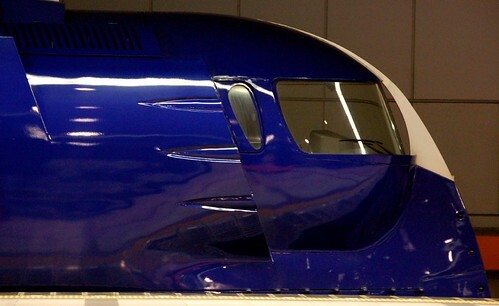 It's cheaper than the Namba-Nagoya one way ticket for the limited express. Scroll down 1/2 of the page. Good day. 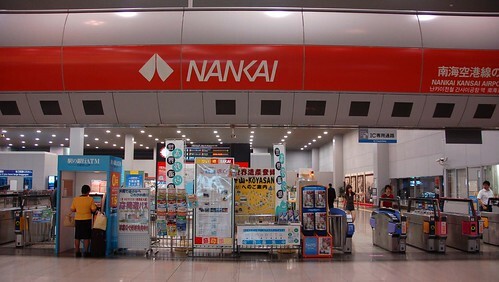 do they take credit card at Nankai ticket machines at Kansai Airport? I don't think the ticket machines and the ticket counters accept credit cards at Nankai stations. Here is a good link to look up train schedules. thanks for this post and photos are nice! Hi, Is there a limousine bus from KIX to Tempozan area? I prefer to go directly to tempozan. If taxi how much is the estimated cost?